Passing out, or having a loved one pass out, is frightening. It is a significant medical event and can be difficult to diagnose when it happens infrequently and for no apparent reason. When symptoms go undiagnosed and there is a delay in treatment, it puts a person’s life on hold. Driving a car suddenly becomes dangerous, and becomes both scary and frustrating for the patient and their family. The loop recorder, Confirm Rx™ device, is the world’s first smartphone-compatible insertable cardiac monitor (ICM) and is now available at Glacial Ridge Health System in Glenwood. The device records heart rhythms on a long-term basis to manage patients who infrequently pass out or have unexplained cardiac symptoms. Finding the reason why someone faints a few times a year is very difficult. Getting a diagnostic electrocardiogram (ECG) reading at a clinic visit, on a two-day Holter monitor, or a two-week Zio patch almost never happens. The Confirm Rx™ loop recorder works up to two years, recording heart rhythms every day as scheduled by the physician. The patient also has control over when it is recording. “We are very excited about offering this new technology at GRHS. Catching the heart’s irregular rhythm while it is happening is a game changer. Given this new information, the patient can get effective treatment and subsequently get their life back,” stated Dr. Lunzer. By using Bluetooth® wireless technology, the patient is empowered to record heart rhythms at the beginning of their symptoms, such as dizziness or fluttering, on their existing smartphone using the myMerlin™ app. Patients who do not have a smartphone will be given one while they are using the loop recorder. The average recording is 8 minutes in length, and the data is transmitted (automatically sent) to Dr. Lunzer within minutes of the recording. 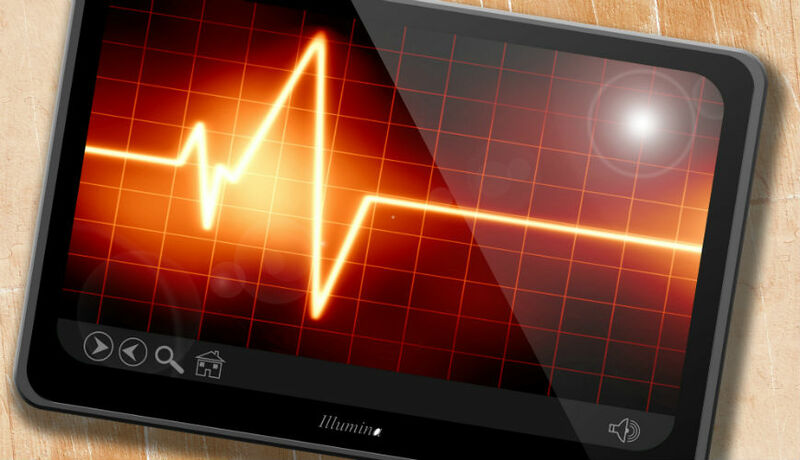 Other cardiac monitors still have their place in the world of diagnosing heart issues, particularly when symptoms are frequent, or during cardiac rehab or stress testing. The loop recorder can be worn up to two years, making it ideal for patients who have infrequent symptoms. Most patients have been able to record their unexplained episodes in six months or less, according to St. Jude Medical Center.